Carl G. Rasmussen. Zondervan Atlas of the Bible. Revised Edition. Grand Rapids: Zondervan, 2010. 303 pages, $39.95. 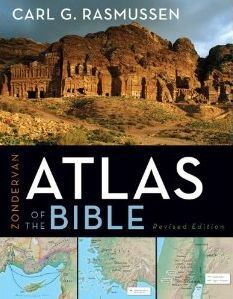 Like the New Moody Atlas of the Bible, the Zondervan Atlas of the Bible is a new version of an extremely useful atlas. The text of the atlas remains nearly the name, but all of the maps have been replaced and the entire volume is richly illustrated with photographs and helpful time-lines. Oddly, there is only a few side-bars explaining key terms or giving king lists. The book came with a poster-size topography map of Jerusalem, although it is useful it is little more than an advertisement for the Atlas. According to the introduction to the Atlas, the maps were prepared by International Mapping rather than Carta (as in the earlier edition). Since International Mapping provides maps for several other Zondervan publications, there is a familiar “look and feel” to these maps. For example, Gary Burge’s recent The Bible and the Land has similar maps. The coloring scheme used is excellent and the maps are easy to read. In addition to the standard orientation (north at the top), there are a number of maps which give an almost 3D perspective. For example, the map of Galilee is rotated about 45 degrees so that the elevation of the hill country and the Huleh Valley is clearly visible (p.36). On these perspective maps, “stick pins” are used to indicate towns alá Google Maps. The first major section is the standard Atlas. In these 81 pages, Rasmussen deals with the physical geography of Palestine, but also (briefly) Egypt, Syria-Lebanon, and Mesopotamia. Rassmussen includes a photo of Jerusalem during a Hamsin and three days after, vividly portraying the difference in air quality and oppressive heat well, especially to anyone who has endured these conditions in May! These maps include a geological chart, climate maps and charts by region, and several cross-sectional maps which help the reader understand the topographical extremes of the region. The second section is a Historical Atlas covering the history of Israel, the intertestamental period and the New Testament. Nearly every page is illustrated with a map, chart, or photograph. The text is suitable for a College-level Old Testament class but is readable for the layman as well. Rasmussen holds an early date for the Exodus, although he does not have a map indicating possible routes for the Exodus. About 24 pages are devoted to the intertestamental period and twelve pages to the life of Christ. The section entitled “expansion of the church in Palestine” is odd, since the bulk of these 8 pages are about the Jewish Revolt and fall of Jerusalem. The journeys of Paul are covered in a disappointing ten pages. A few pages cover the seven churches of Revelation. The final thirteen pages of the historical section are devoted to the city of Jerusalem, including four topographical maps. The maps showing Jerusalem in the Old and New Testaments are full page and only lightly detailed. While I wish these were on facing pages so they could be easily compared, they are good reference maps for city walls and other areas of interest in the period. The photographs are what set this Atlas apart. The photographs are up-to-date and in many cases quite stunning. There are several photographs which depict recent archaeology: the bronze age gate at Tel Dan (p. 96), a small photo of the southern Wall excavations (p.216), the Pool of Siloam (p. 249). Often the photographs represent locations which are not on the normal Holy Lands tour and are clearly not stock photography. Page 52 and an excellent photograph of the Nari Crust and limestone in the Shephelah, which is at Bet Guverin (although Bet Guverin is not mentioned in the caption). Page 41 has a view of Galilee from the Arbel Cliffs, then the next page has a shot of the Cliffs from the valley floor. The photo of the Valley of Elah from Kh. Qeiyafa on page 53 is particularly helpful since most photographs of Elah are taken from the valley floor. Page 136 has a shot of En-Gedi which depicts the high cliffs and palms, but avoids the standard tourist snapshot of the waterfall at the back of the canyon. If there is anything frustrating about the maps is that there is not enough information given about a few of them. For example, page 117 has an partially reconstructed four-room house, but there is no indication where this house is located. There are three excellent photographs of the temple at Ain Dara in Syria, the first of which is labeled as having “strong design parallels with the Solomonic temple in Jerusalem,” but nothing in the text of the atlas describes these parallels nor are the obvious from the photographs. Another photo from Bet Guvrin is used to illustrate the Hellenistic era, although the location is not given (p.185). The photo on page 107 illustrates “Sinai / Negev Wilderness in which Israel spent 40 years,” although there is no indication of where the photograph was taken. That last section of the book is a brief essay on the “Disciplines of Historical Geography.” This essay orients the reader to the problems of philology, toponymy, and archeology as the relate to writing a historical geography. I think that this section ought to be read by anyone who uses an atlas; placing in the back gives the impression of an “afterthought” or appendix. The book includes a scripture index, persons index, and a very helpful geographical dictionary and index. This last index includes every biblical place and gives a brief description of the location, scripture where it is found, and the modern place name. In many cases, a six digit grid reference is provided for locating sites on a standard map. Overall the Revised Zondervan Atlas of the Bible is an excellent atlas, use for both pastor and student interested in the history and geography of the Bible. The layman will enjoy the user-friendly layout and photography. In general the detailed historical section make this a more useful tool than the IVP Atlas, but less complete that the ESV Bible Atlas or New Moody Atlas. John D. Currid and David P. Barrett. Crossway ESV Bible Atlas. Wheaton: Crossway, 2010. 352 pages, $55.00. The ESV Bible Atlas is a companion to the popular ESV Study Bible. David Barrett oversaw the maps and John Currid was the Old Testament Archaeology editor for the ESVSB. In many cases identical maps appear in both volumes. Because of the quality of paper used in the Atlas, the same maps are easier to read and in some cases larger. For example, “The Setting of the Judges” map (ESVSB 434 / ESVA 4-15) is slightly larger, while the map “The Judges of Israel” on the next page is the same size. It appears that the contours of the maps show mountains have been toned down for the Atlas. But this atlas is far more than maps drawn from the Study Bible. Dozens of specialty maps are inserted into the Historical Geography and the Regional Maps are completely new for this volume. The volume is divided into four sections. First, a 44 page introduction covers basic geographical regions, climate, and economy, and archaeology of the Bible. The section concludes with two pages of modern Israel maps with archaeology sites marked. The largest section of this 352 page atlas is part two, Historical Geography (150 pages). Like the New Moody Atlas, this historical approach is a richly illustration overview of biblical history. There are twelve sub-sections: Before Abraham, Patriarchs, Sojourn in Egypt, Wilderness and Conquest, United Monarchy, Divided Monarchy, the Assyrian, Babylonian, Persian, Hellenistic, Maccabean and Roman eras. Each is illustrated with larger maps covering the whole period and a number of smaller maps, illustrations, and photographs. Unlike the New Moody Atlas, this section is not well documented. The text is far more detailed than the IVP Atlas but will not overwhelm the laymen with details. One unusual feature of this section is a series of computer generated maps which attempt to show the geography from “ground” level. I am not sure these are particularly effective, but the do provide a different view. The illustrations in the Historical Geography are excellent, although many are the same as ESVSB. For example, the various illustrations of Jerusalem are identical: the time of David, (ESVSB 550 = ESVA 127), Solomon (ESVSB 595 = ESVA 131), etc. The illustrations in the Atlas, however, are on a single page and therefore easier to read since there is no center margin running through the picture. The illustration of the temple is identical to the Study Bible, but twice the size (ESVA 134-35). Likewise the illustration of Zerubabbel’s Temple is much larger than the ESVSB. I found the artistic renderings of Jerusalem fascinating and appreciate the larger size in the atlas, but I wish they appeared in a single section so I could compare the development of the city over time. As expected, the ESV Bible Atlas has a wide variety of photographs illustrating the Historical Section. Many of these photograph come from Todd Bolen (www.bibleplaces.com) and are for the most part recent pictures. Page 143 shows Jeroboam’s altar at Tel Dan as a wooden frame and a bit less development than my visits to the site, but there are no photographs that are obviously too old to be useful. Often photographs cover a half page and are well chosen to illustrate the text on the page. I was particular impressed with the photos of Gamla, a site often ignored in atlases (or tours, for that matter). A lively photo of the oldest synagogue found in Israel appears on page 253 along with an excellent artistic reconstruction on the next page (also in ESVSB, 1956). Part three is Regional Geography (37 pages) and is more like a traditional atlas. These elevation maps are beautifully done using Lambert Conformal Conic projections. Mountains and valleys are clearly visible and a color scale for elevation. Palestine appears as a two-page map followed buy two-page maps of Judea, Samaria, Galilee, Gilead, Moab and single page maps of Edom and Philistia. Three maps of Jerusalem are included (David, Nehemiah, and New Testament period). Each has been overlaid with Charles Wilson’s Ordinance Map via Todd Bolen. Part four is a collection of time-lines and a wide variety of useful indexes. One in particular merits attention. The authors have included an 11 page index of biblical place names followed by their present day place names, location on the Palestine 1923 grid, longitude and latitude data, and the location on the regional maps in the atlas itself. Location data can be typed into Google maps so you can examine the satellite map of modern Israel for the location. For example, type “E 34.8490, N 31.5650″ into Google Maps and you will see the region around tel Lachish. Using Google Earth, one can see tags for the Lachish letters with links to photographs of the site. Try E “35.1850, N 32.5850″ for Megiddo, there are dozens of tags and links! One drawback is only biblical places appear in this index, so Qumran, for example, does not have a listing. But this extra information makes for an incredible learning experience. Two things set this Atlas apart from the competitors. The book contains a CDROM with 127 maps from Atlas and ESVSB. The largest is 1575×2298 pixel map of the near east in the late Bronze Age (map 3.1). The map of the Roman Empire is a whopping 2240×1463 pixels. These maps are indexed by chapter and a web page is provided with descriptions and links to the maps. These maps can be easily added to Powerpoint for use in the classroom. A second added feature is a poster of the Land measuring 22×16 inches. The inclusion of an index of cities on the map itself make this a handy tool for quickly locating key places. If you already own the ESV Study Bible, is there enough new material in the ESV Bible Atlas to justify the extra expense? Absolutely. The Historical section is a worthy introduction to biblical History and the Regional Atlas goes far beyond the maps included in the Study Bible. For the laymen or pastor, these two resources are an excellent foundation for serious Bible study. 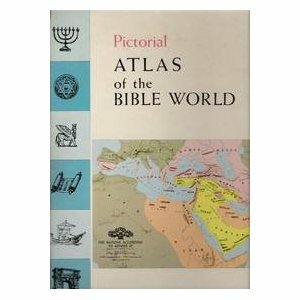 This recent atlas from Moody replaces Beitzel’s 1985 Moody Atlas of the Bible. Few scholars are as qualified as Beitzel in the field of biblical geography. Along with the 1985 Moody Atlas, he edited Biblica and served as the Geography Editor on the ESV Study Bible. The original Moody Atlas was highly regarded as a scholarly work yet was still readable for the layman. It was recommended by Victor H. Matthews and James C. Moyer in their 1990 round-up of recent Bible Atlases. (“Bible Atlases: Which Ones are Best?” Biblical Archaeologist 53 (1990)). Likewise, F. Duane Lindsey considered Beitzel’s “historical geography” approach to be excellent and highly recommended the volume in his 1987 review (BibSac 144 (1987): 112). The New Moody Atlas builds on the strengths of the 1985 atlas. The new volume is about 70 pages longer despite dropping the short third chapter in the older atlas on biblical mapmaking. The table of contents has been greatly improved in this new edition with each topic in the Historical Geography chapter included. There are 118 maps in the book, many are full page (11.2×9.6 inches). All the maps have been redrawn from the 1985 edition. These maps are conveniently numbers and are all well-textured to show elevation, although most of the versions of the map of Canaan are the same light brown color (no difference between hill country and coastal plain, for example). Given the specialized nature of most of these maps, this an understandable decision. However, when necessary, color is added (Map 40, for example, shows tribal divisions with colors). Few maps span two pages, although Map 22 spans four pages with a long map of Palestine with important cities included in the index marked. This is a beautiful map in terms of texture and color but really ought to have been printed on fold-out pages so that the student could seen the whole of the Land. There are a remarkable number of specialty maps in this atlas. Just a few examples: Map 44 summarizes Egyptian incursions into Canaan from Thutmosis III in 1457 B.C. to Shishak in 935 B.C., along with 2 full pages of text describing the exploits of these pharaohs. Map 55 is a remarkable full page map of the Judgeship of Jephthah showing the territory of Ammon and the movements of the armies. Map 70 provides details on the battle of Qarqar along with more than a page of detailed text on the battle. Map 79 is a detailed half page map showing the movements of the Egyptian and Babylonian forces at Carchemish accompanied by nearly a page and a half of text on the importance of this battle. Unlike the IVP Atlas, the Moody Atlas has a lengthy section on the physical geography of the Land. In addition to the normal sorts of maps for topography and climate, there are sections on the geology and hydrology of the Land. Maps of the Sea of Galilee and the Dead Sea showing underwater elevations are unusually interesting. Beitzel has shown which cities on Galilee had Roman Harbors in the first century is quite useful. What sets this New Moody Atlas ahead of other atlases is its excellent collection of essays on biblical history. In fact, almost 200 pages are devoted to the history of Israel through the New Testament. About 35 pages are devoted to the intertestamental period, including several pages on Alexander the Great and two full pages on the Battle of Issus. An eleven page essay on the history of Jerusalem includes maps of each major period of the city’s history, including the modern city. The essay discusses the name and topography of the city as well as a brief history of excavations. There are less than 40 pages devoted to the New Testament period, predictably the majority to Paul’s travels (12 pages). The final 8 pages of the Historical Atlas cover the fall of Jerusalem and the spread of Christianity. The Historical Atlas is well researched although the text uses to avoid cluttering the atlas pages. A Map Citation, Scripture and General Index are provided. Illustrations are almost all photographs rather than artistic renderings. These are used sparingly compared to the IVP Atlas and appear to be mostly stock photography. A few photos are clearly old (Caesarea, p. 42, Chorazin, p.242). I find this limited use of photographs odd since Barry Beitzel is listed in the ESV Atlas as one of several who helped supply photography for that volume. While there is no need to repeat the bloated excess of Biblica (a coffee-table style atlas), additional photographs would have made this atlas even better. The New Moody Atlas of the Bible is an excellent text for any Bible Survey course, although the volume is most valuable for a study of the Hebrew Bible. The text will appeal to Bible teachers and Pastors but it is not too technical for the laymen. The New Moody Atlas is a valuable addition to any library. Paul Lawrence. The IVP Atlas of Bible History. Downer’s Grove, Ill.: InterVarsity Press, 2006. 187 pages, $45.00. 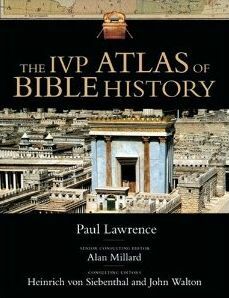 The IVP Atlas of Bible History was the first of the “new” atlases to hit the market back in 2006. I got a copy from IVP right away and adopted it as a textbook for both by Old and New Testament survey classes. I used the book for two years and carried it with me to Israel as a resource for leading student tours in 2007 and 2009. Of all of the atlases reviewed in this series, this is the one I have used the most and recommend to the laymen who wants some basic maps and background material. The atlas has an excellent layout and is well illustrated. Like most atlases, the IVP Atlas uses “paired pages” linking a map with text describing the content. The oversized format (11.9×9.2 inches) allows for larger maps, but also a variety of other content. There are numerous photographs which illustrate content as well as side-bars which focus on a more specialized sub-topic. The inside margin of the paired pages has a small box which collects all of the scripture references for the pages. The editors use a light blue background for some pages which are more “geography” related (Geography of Canaan, Climate of Canaan, Agriculture of Canaan) or background essays (Language of the Bible, Rome). One highlight of the IVP Atlas are the illustrations. For example, the artist’s reconstruction of the Tabernacle (p. 40-1), Solomon’s Temple (p. 74-5), Babylon (p. 108-9), Herod’s Temple (p. 132-3) are well drawn and generally helpful. I would have like to see these illustrations juxtaposed to photographs of the archaeology which inspired the art, but these pages will the reader a mental image of these key locations. Ultimately, an atlas is judged by its maps. There are about 90 maps in the book, although only a few are full page maps. As is typical in a narrow topic atlas, a generic map of Canaan is used and re-marked with different data. Frequently a smaller area is placed near a description of a story. For example, an excellent map of the Moabite Campaign appears on page 82 to illustrate 2 Kings 3. The largest map of Canaan (p.10-1) spans two pages and is almost too busy with data to be useful. Sites are identified as appearing in either Old or New Testament. Unfortunately the interior margin mars the center of the map, the most interesting region (Jerusalem and environs)! A bonus is sixteen pages of Second Temple Period. This section intends to “bridge the gap” between the Old and New Testaments and does a fine job covering this broad period for laymen. There are a number of maps (Alexander’s Empire, the Maccabean revolt, Jews in Egypt). The pages on Herod’s building projects are particularly good. Along with the pages on Rome and the Fall of Jerusalem (p. 166-9), the IVP Atlas provides a Jewish history beyond the Bible. The book includes a few page sets which strike me as odd for an atlas. For example, pages 14-5 are on Creation writing. The text contrasts the biblical narrative with Ancient Near Eastern mythology and considers briefly the age of the earth. The inclusion of this material makes the book useful for a Bible survey course, but is not exactly geographic material. There are sections of writing(p. 68-9) and libraries in the ancient World (p. 70-1). While these are well written and fascinating, once again I wonder about their inclusion given other omissions. The essay “Amulets and Scrolls” (p, 134-5) is really about the Dead Sea Scrolls. Remarkably, the IVP Atlas is weakest in the New Testament. There are six page-sets for Jesus’ life, and with the exception of a small picture of the synagogue in Capernaum, there are no photographs of Galilee. There is only an artists reconstruction of Capernaum (p. 140-1), The first 12 chapters of Acts are covered in one page set and two small maps. Paul’s travel in Acts 13-28 is covered in five page sets, with the expected “missionary journey” maps. The city of Ephesus is an artist’s reconstruction with no actual photographs other than a first century Artemis. The recipients of the letters of the New Testament are located on a map (p. 164-5) with fairly conservative traditional dates. (Galatians is the first Pauline letter, dated to A.D. 48-9). Two page sets are dedicated to the seven churches of Revelation. Overall, The IVP Atlas of Bible History is an excellent resource for pastors and laymen, although the scholar might find the content less than adequate for their needs. I have always had a fascination for a Atlases, especially Bible Atlases. As a kid I spent hours with my Dad’s Hammond Bible Atlas, printed in 1959. This atlas is tiny by today’s standards, but I spent many hours looking at maps and photos of Israel. I especially liked the “timeline” on the back cover which graphically showed the rise of Rome. Remarkably this classic is still in print and useful for most laymen. For years the best (and only) atlas I used was the Oxford Bible Atlas (Second Edition), edited by Herbert May. (It amazes me that there are copies for sale for less than $1!) The first 47 pages are an excellent overview of biblical history illustrated with black & white photographs, followed by 50 pages of maps. The final 20 pages of text is an excellent introduction to “Archaeology and the Bible.” The maps were well-drawn and accompanied by a short overview of the data found on the accompanying map. As expected, this old friend is looking a bit gray these days. The photography is laughably out of date, since the first edition was 1962. For example, page 40 has an aerial shot of the theater at Caesarea. Anyone who has visited this site would be amazed since there is no evidence of the Palace or the hippodrome in the photo, and the beautifully excavated homes are still under a farmer’s field! Page 46 has a wonderful photo of the synagogue in Capernaum before it was reconstructed for tourists. These examples point out the problem with atlases. They are in constant need of updating. The Fourth Edition of the Oxford Bible Atlas has updated photography and updated and expanded the historical and archaeological sections. Page 154 has an aerial photo of the same synagogue at Capernaum, but it is still out of date since the houses along the side of the synagogue have been removed to make room for shaded benches for tour guides to lecture. This summer two excellent new Atlases have been released. In fact, in the last several years several publishers have released excellent atlases that build on the foundation of the venerable foundation of the Oxford Bible Atlas, but go far beyond the scope of that handy guide. Of interest to me especially are the following four books, all of which are excellent contributions to the study of the geography of the Bible. Over the next few blog posts I will offer reviews of these new Atlases and point out some strengths and weaknesses. After the four reviews have been posted I will make some final “compare and contrast” observations. Steven Tomkins declares Ebion to be his” favourite heretic” in a recent article in the Guardian. Tomkins writes on religion for the Guardian and is a frequent contributor to Ship of Fools. This is a good article , but perpetuates some ideas which have become commonly accepted, but are not necessarily so. Tomkins describes Ebionism as “one of the earliest Christian heresies – necessarily so because it involved staying closer and truer to the Jewish roots of Christianity, in many ways, than the mainstream church did.” First, I agree that the “roots of Christianity” are in fact Jewish, but that the Ebionites stayed “truer to the Jewish roots” is problematic. This is to assume that there was a core of Jewish belief, or a standard Judaism, by which a sect could be judged to be more or less heretical. In the first century, that is simply not the case. The Ebionites were like the Essenes, a more radical group within the varieties of Judaism in the first century who had some beliefs about the messiah. In the Ebionites case, Jesus was the messiah. Second, assuming that the Ebionites were active by the end of the first century, they were just one of several voices trying to figure out what / who Jesus claimed to be. Jesus appeared to be a human, he claimed to be the Jewish messiah, although fulfilling the Servant Songs of Isaiah rather than military deliverer of Psalms of Solomon. But he also put himself in the place of God as well. The story on Mark 2 illustrates that Jesus claimed to have authority to forgive sin, an implicit claim of divinity. Like John’s Gospel, the Ebionites tried to put this data together — was Jesus a man (prophet, messiah) or was God? And if he was God, how does “fit” into a Jewish worldview? I think that this is the same thing Paul tried to do as well. He was a Jewish scholar who encountered a resurrected Jesus. For Paul, Jesus was the divine Messiah who offered himself as an atoning sacrifice. The book of Romans tries to work out the implications of this fact. Tomkins goes on to report that the Ebionites “also rejected all the writings of Paul from their New Testament, a stance that more than a few Christians today would have some sneaking sympathy for.” This reflects the all-too-common view that Paul somehow misunderstood Jesus, or worse, ignored him to create the church. Usually there is a historical error in this wort of statement. I fully agree that the church of the first century is completely different that the medieval Catholic church. Tomkins is correct that by the fourth century the Jewish roots are completely lost. I am of the opinion that the religious structure of the Roman world overwhelmed the church and (in my view) corrupted the church as it was intended. Paul did not hatch a plot to completely corrupt Jesus’ pure teachings. Paul was an interpreted of the person and work of Jesus, writing before the Gospels were even written. While I am sure he knew traditional teachings of Jesus, Paul was creating a theology based on what Jesus did, his death and resurrection, not what he said. I suspect there are many within the church who think that Paul created the medieval Catholic church, and we are far better off if we dispense with Paul and get back to Jesus’ pure teachings. My point here is that the issue is not Jesus or Paul. Paul was one of the interpreters of Jesus within early Judaism, as were John and Matthew. Between summer, my dissertation, and the World Cup, I have been neglecting posting. If you read this blog much, you know I have been using the ESV Study Bible for my Bible Survey classes and have been quite pleased with the translation and the notes. There are a few sections I disagreed with in the notes, for the most part they are well done. The Gospel Coalition has a nice description of the forthcoming ESV Bible Atlas. At 352 pages and 65,000 words, this is the largest Bible Atlas in recent memory. The “look and feel” is similar to the ESVSB, the maps were prepared by David Barrett, who also did the maps for the Study Bible. When my copy arrives, I will post a review of the ESVBA, with a comparison to the IVP Atlas and the new Moody Bible Atlas. Crossway has 40 pages online for you to browse. Check it out. John 19:18 - "They Crucified Him..."